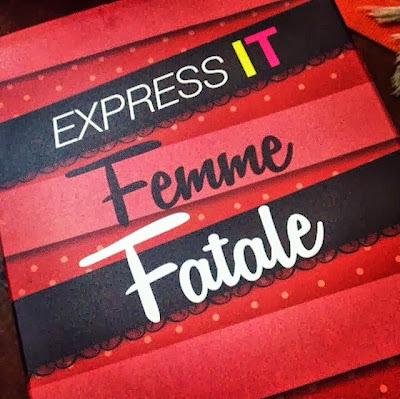 Unboxing the BDJ Box for October (2013) - EXPRESS IT Femme Fatale* | Vanity and Everything in Between. BDJ surprised me again yesterday when I saw a package on our dining table when I got home! I honestly thought I would not be be sent a beauty box for October since I read from other blogs that the beauty boxes for October until December are already sold out. But I'm glad that I received yet another BDJ Box! Thank you BDJ Box for never forgetting me! Click read more to see what's inside my BDJ Box! I already had an idea what this month's BDJ Box is all about because I saw Yette's post in Instagram. However, I wasn't expecting to receive a slightly different box. Also, this is probably the lightest box that I have received from BDJ Box. 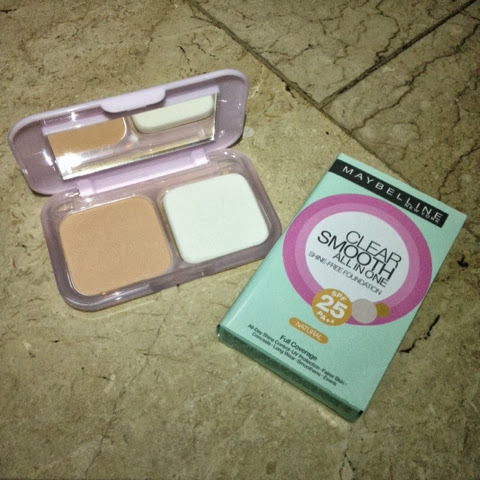 But don't be deceived by its light weight because this box is just as good as the previous boxes! 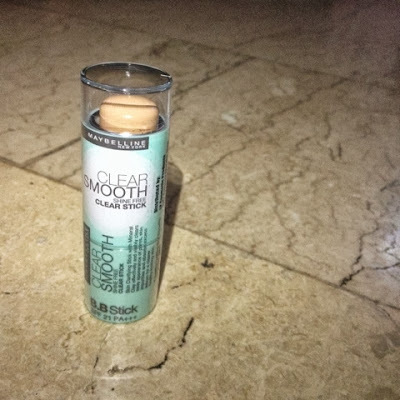 in a stick provides 8 different skin benefits which include SPF21/PA+++. 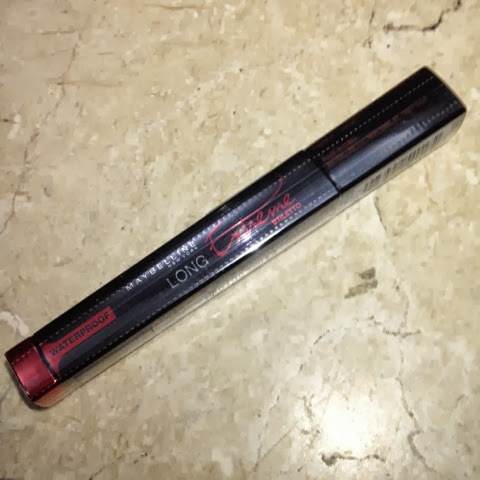 water-proof and smudge-proof, ready for any weather!" 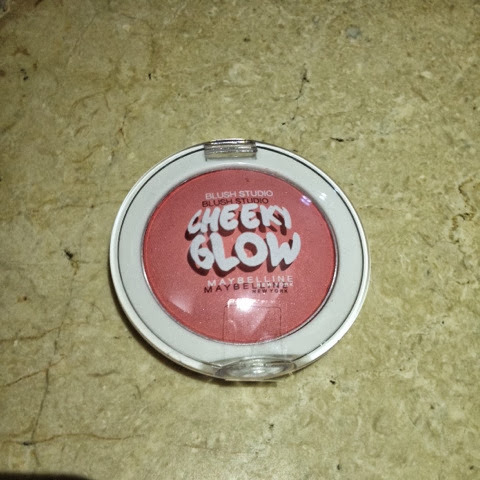 you with full coverage and satin finish all throughout the night! 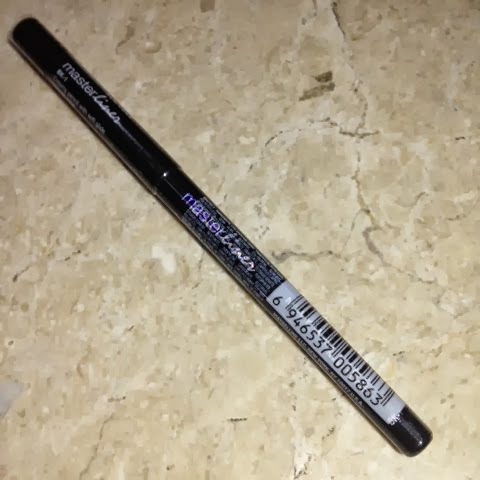 and is water-proof and smudge-proof!" If I remember correctly, this is the first BDJ Box (that I received) that contains full-sized products. The worth of all these products is a whooping PhP1,923.00! Yet, if you're subscribed to BDJ Box, you get all of these for only PhP580! This box is yet another major steal! Big savings as well! 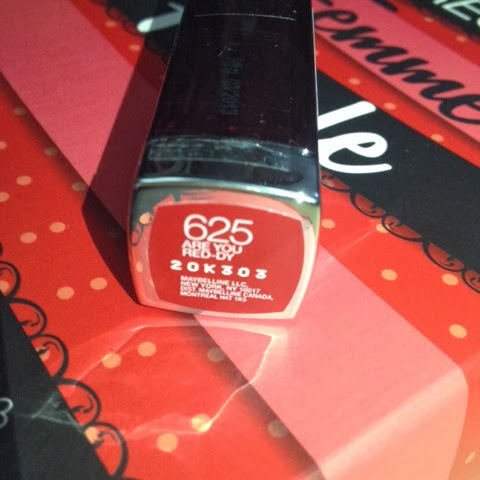 The theme of the box that I received is Femme Fatale. There's also a step-by-step guide on how to use the products to achieve the Femme Fatale look! I can't wait to create the look! The other boxes contain an eyeshadow palette! 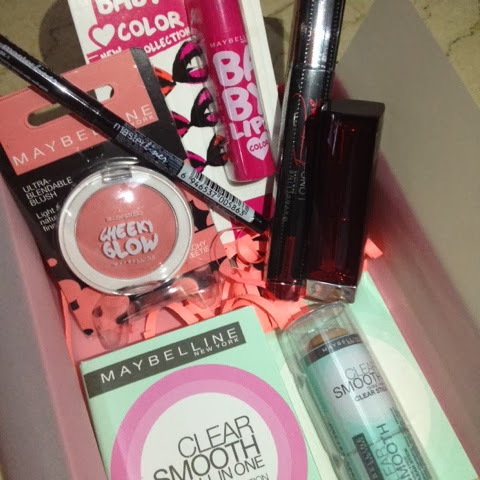 I initially thought that Maybelline's newest mascara is included in this box. Sadly, it isn't. But it's okay! 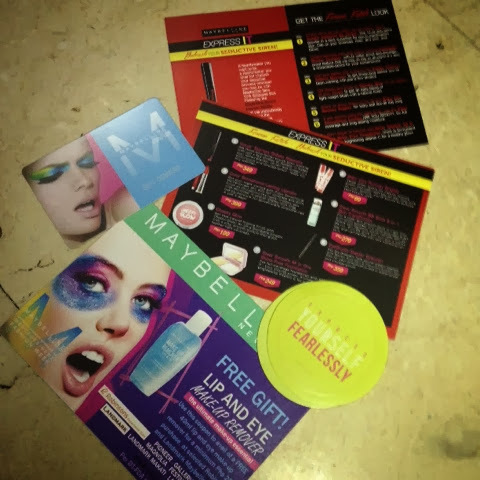 BDJ Box also included a Maybelline card which is like a point/rewards card. 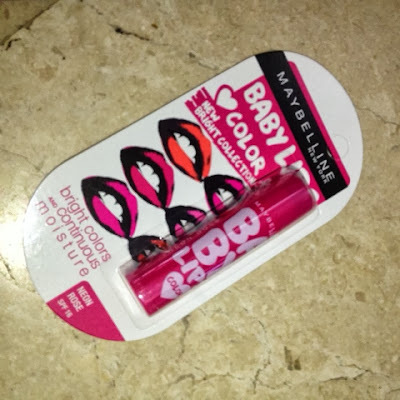 I'm psyched to use that on my next purchase of any Maybelline products. I'm excited to use everything in this box! Unlike the previous boxes, the products inside can be used altogether since it's makeup! Apart from the lipstick, I haven't review the rest of the products in this box. So, if you want me to review a specific product from this box, please let me know! Can't wait for next month's box. hihi i agree ms gem! even i dont have the oct2013 bdj box today.. im still happy that this month.. i finally own a bdj2014 planner i won from a contest on their twitter contest!